Mundo Exchange has been given the amazing opportunity of joining with dōTERRA Healing Hands Foundation to purchase land in order to build a center in Chajul, Guatemala dedicated to bettering the lives of women and their families. We need your help to make this opportunity a success! This window of opportunity is this month only and will end August 1st. Members of ACEFOMI have dreamed of creating a center dedicated to bringing women and their families together to heal, learn new skills, develop leadership and entrepreneurial skills, and draw concrete plans to better community member lives. With the help of the dōTERRA Healing Hands Foundation, we have the opportunity to make their dream a reality. Your donation will be matched by doTerra up to a total of $20,000, which is the purchase price of the land where the Center will be built. Not only will the Center be a gathering place for women, but it will also be the new home of CEMIK, a small school that has taught over 2000 Maya Ixil children during the past 30 years to read and write in Ixil and Spanish, learn about their Mayan heritage and Indigenous rights, and eat a nutritious meal once a day. In addition, the women will create a demonstration garden focusing on growing organic nutritional and medicinal crops and seed-sharing. 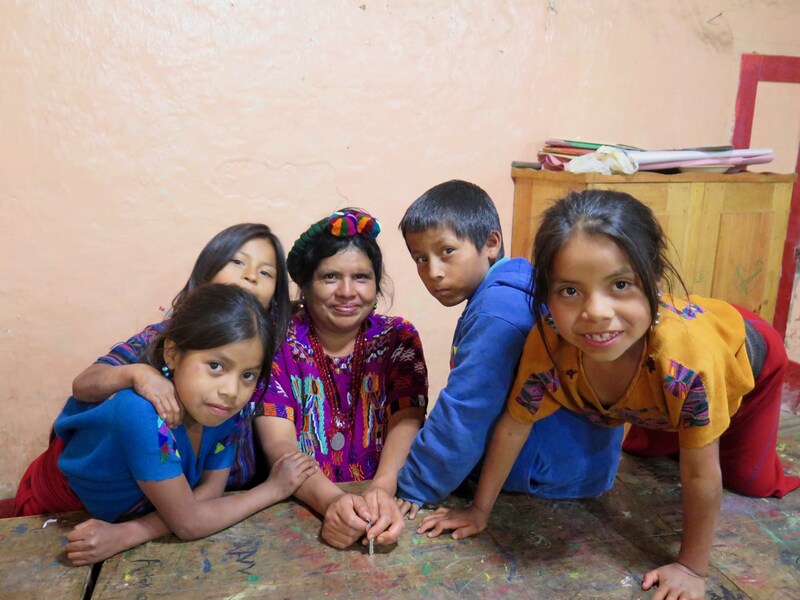 With the help of many of you, Mundo Exchange has been collaborating with and supporting a dynamic Maya women’s cooperative in Chajul, Guatemala, ACEFOMI since the early 1990’s. The women of ACEFOMI support adult and children’s education, nutrition, organic farming, mental health and indigenous rights. Chajul is one of the Mayan villages most devastated by Guatemala’s 36+ years of Civil War – a war that targeted the poor and especially Maya population. Those who survived witnessed massacres of their family and community members, spent years fleeing from the army, and many experienced extreme sexual and physical assault, as well as years of starvation. Thank you Donors and Partners! With your kind hearts and generous donations, we were able to raise the $10,000 needed to support the construction and development of this Center in Chajul, Guatemala. A huge thank you to doTERRA, who has matched our donation for a total of $20,000USD going towards this wonderful opportunity!